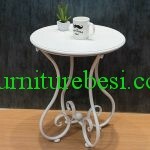 White Terrace Table Iron Frame Order Yogyakarta Hotels, this new table has a unique and classy design. 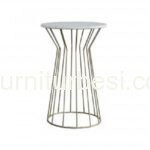 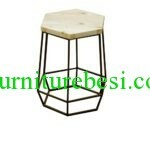 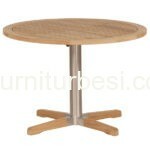 This iron table is in demand by hotels and villas in particular, with color as requested and the order to use powder coating paint makes this table strong impact or other objects so that it is good for the house or company you are in. table is in demand by hotels and villas in particular, with color as requested and the order to use powder coating paint makes this table strong impact or other objects so that it is good for the house or company you are in.